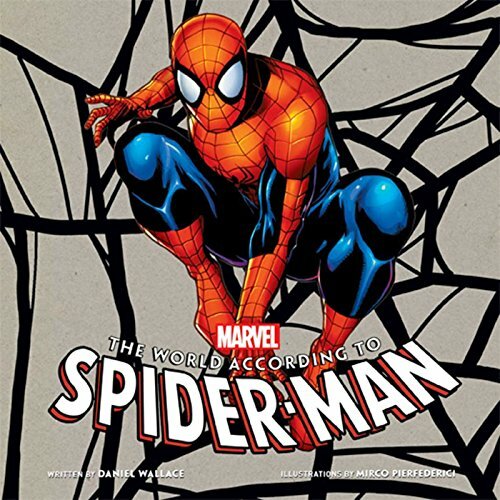 Get to know the real Spider-Man through this hugely fun and interactive journey into the webbed wonder&#x2019;s amazing world.<br /><br />It&#x2019;s not easy being a Super Hero when you&#x2019;ve got a steady job to hold down and girlfriend problems to deal with. Somehow, Peter Parker (aka Spider-Man) manages to do it while regularly saving New York City from a rogues&#x2019; gallery of super villains. In The World According to Spider-Man, the wisecracking hero spills the beans on how he balances his two lives and manages to keep his trademark sense of humor, even while he&#x2019;s tangling with Doc Ock or the Green Goblin. The book comes with a wealth of incredible removable items, including clippings from the Daily Bugle, Peter Parker&#x2019;s report card, J. Jonah Jameson&#x2019;s business card, Spider-Man&#x2019;s driver&#x2019;s license, an exclusive Spider-Man poster, and much, much more.